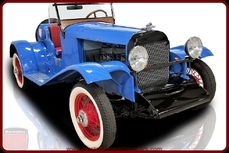 General description : In the years leading up to the United States’ involvement in World War I, the number of American independent car manufacturers began to slow. The momentum of the early part of the Twentieth Century was fading, as the might of The Ford Motor Company (with its dominant 45% market share) began to squeeze out the smaller upstarts. Despite the less-than-ideal economics and the looming threat of war, a group of businessmen led by W.O. Cooper and his friend, engineer Arthur M. Dean, formed a new motorcar company in the suburbs of Cleveland, Ohio. With A.M. Dean in charge of design, the company did stand a chance at success; however their optimism would soon collide headlong with economic realities of car manufacturing. In a demonstration of the hubris of the company founders, the car was named Templar, after the 12th Century order of Catholic Knights and supposed guardians of the Holy Grail. With a name like that, the car had a lot to live up to! 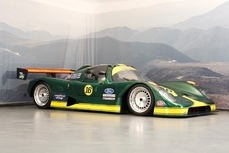 The frame, suspension, axles, and brakes of the Templar were sourced from outside suppliers, putting it in the so-called “component car” category. However, the one key difference that set Templar apart was the engine. Arthur Dean cut his engineering teeth with Pope-Hartford and Matheson, and he had been working a 3,229 cc inline-four for several years. With Templar, he now had the ideal candidate. The engine was quite advanced for its day, featuring overhead valves and extensive use of aluminum. The bottom-end featured fully-machined connecting rods and a balanced rotating assembly. 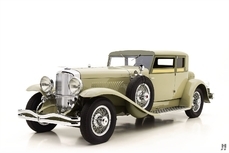 Paired with the excellent engine were three body styles: sedan, touring car, or sporty “Touring-Roadster;” built in aluminum by an outside firm. 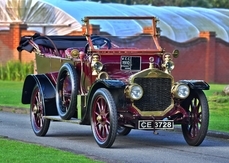 Templar built approximately 150 cars in 1918, although nationwide sales didn’t kick off in earnest until later in 1919. 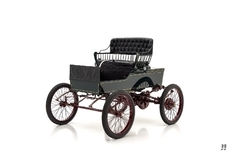 Period advertisements declared it “The Superfine Small Car.” At a price of $1850, it was cheaper than a Stutz or Mercer, however, it lacked the prestige of those cars – and it was a good deal more expensive than a mid-market Dodge or Overland. Unfortunately for Templar, America’s involvement in The Great War quelled hopes of volume production, and by 1920 there was a good deal of anxiety among investors due to low sales and disappearing cash reserves. There were a few bright spots, thanks to Templar hiring the national hero Erwin “Cannonball” Baker to drive a specially prepared model in a record-breaking run from New York to Chicago – which he completed in 26 hours, 50 minutes – besting the previous record by 6 hours! Baker made headlines when he set additional records in Templar automobiles. However, despite the best efforts of the marketing team, restless investors pushed the company into receivership. 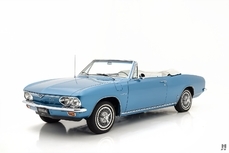 A last-ditch effort in the form of a six-cylinder model did little to help, and after about 6,000 cars left the Cleveland factory, Templar was shuttered. This charming 1918 Templar 4-45 is a wonderful example of the sporty 2-seat Touring Roadster, finished in its factory offered color of “Valentines Rich Cream” over contrasting black wings. 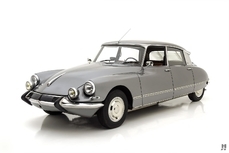 Combined with a burgundy interior and wheels, it has a delightfully sporting appearance. 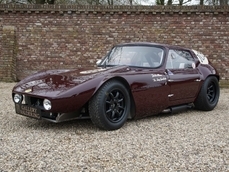 The distinctive doorless coachwork features a low-slung cockpit complete with cast alloy step plates and leather scuff protectors embossed with the Templar cross. Notable features include twin flush-mounted spare wheels, a small storage area door behind the driver’s seat, and a tidy canvas roadster top. This little Templar is quite appealing, with a well-preserved character to the paint and finish. The body is in excellent condition, and while the older paintwork has lost some of its shine, it retains a charming broken-in character. Some touch-ups and imperfections are visible, which is to be expected of an older restoration. The car rides on optional Houk wire wheels, painted burgundy to match the interior. Tires are older Firestone Non-Skids, which have a pleasing period look, although we recommend replacing them prior to participating in any tours or drives. The two-place cockpit is functional and straightforward in the classic roadster tradition. Leather-trimmed seats are in excellent condition, and the body-color dash features original-type instruments including a Templar-branded fuel gauge, Warner speedometer, and a Keyless rim-wind clock. The black canvas top appears more recent and includes a pair of fitted side curtains. Keen on living up to their “superfine” claim, and the Templar came with numerous accessories including a Kellogg tire pump, spotlight, and exhaust cutout. Famously, some models even came with a Kodak 3A folding camera, replaced on this car with a period-appropriate Brownie. Arthur Dean’s “Top Valve” inline four-cylinder engine retains many original components including the aluminum valve cover, finned exhaust manifold, Stromberg updraft carburetor, Auto-Lite generator, and electric starter. The presentation is honest and tidy, with period appropriate fittings. It mates to the original Detroit Gear three-speed manual gearbox. Some additional sorting may be required ahead of any long drives, though once dialed-in, the 43 horsepower engine combined with the lightweight aluminum roadster bodywork should make for brisk progress. Templar Motors Corp only survived for a brief time, though their legacy lives on through the early championing of overhead valve technology and aluminum construction, as well as their accomplishments in the pioneering days of cross-country record breaking. 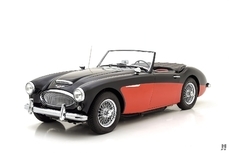 This Templar 4-45 is a uniquely sporty and stylish little roadster that, with some attention, would be a marvelous companion for touring and events such as The Great Race. 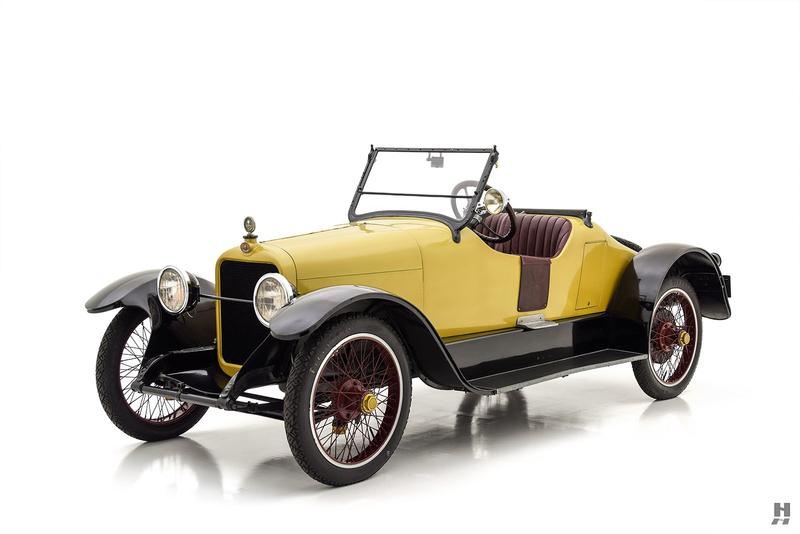 With just 150 cars built in 1918, it is a rare early survivor that would make a welcome collector piece for any fan of esoteric early motor cars. 1918 Other Other is listed sold on ClassicDigest in St. Louis by Mark Hyman for $49500.